"Lt.Col Pritam Singh's story is an example of service; service as a soldier and as a member of the community," wrote the current Canadian Minister of National Defense, Harjit Singh Sajjan, in the forward of Jauhal's 2013 memoir, "A Soldier Remembers." "He witnessed the ferocity and cruelty of war and earned his right to be called a combat veteran. Lt.Col Pritam Singh earned this right as a soldier from India serving the British, but he did this as a Sikh wearing his turban proudly." UH Hilo College of Continuing Education & Community Service (UHH CCECS) says my summer writing workshops are a go! So if you know anyone on Big Island who wants to try "finding your voice" or "dare to dream" (aka the midlife crisis writing workshop) or "writing to change the world" send them my way. 4 weeks of summer writing fun! "We are deeply disappointed that Senate Republicans continue to choose special interests over public health and safety, but this is only the beginning of NCAPA's advocacy on gun control," NCAPA National Director Christopher Kang told NBC News. "More than 20 of our national AAPI organizations have joined this debate, representing the voices of nearly four in every five Asian American voters who support stricter gun laws. Although we did not prevail last night, we will not stop until we do." My essay for NBC Asian America, remembering Vincent Chin, Joseph Ileto, Stockton School Shooting, and Orlando. (wow what a depressing sentence). I remember the courage it took to take my children to Chinese summer camp the next morning. What if our visibly minority summer camp was targeted next? Is going to Chinese summer camp an act of bravery or an act of foolishness? "The last two months of 2015 saw 34 incidents in which mosques were targeted by vandals or those who want to intimidate worshippers," Nihad Awad, CAIR executive director, writes in the introduction. "This is more incidents than we usually record in an entire year. This report makes a case that those who value constitutional ideals like equal protection, freedom of worship, or an absence of religious tests for those seeking public office no longer have the luxury of just opposing the U.S. Islamophobia network's biased messaging." 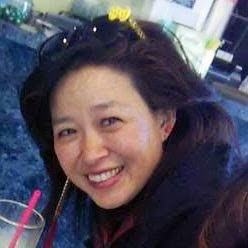 "Considering the overwhelming amount of support from around the country in the form of letters to the judge, petitions, and editorials, it is no surprise that court officials are taking extra time to review them and pushing the sentencing date back,"
"Significantly, the circumstances behind why and how international adoptees come to the U.S. is distinguishable from other communities who wish to obtain U.S. citizenship," Yoon said. "International adoptees are selected and approved by the U.S. government to enter into this country for the sole purpose of becoming part of an American family. Indeed, adoption laws mandate complete legal severance with first families so that an adoptee can become an American. The purpose of U.S. adoption laws must be at the forefront of all discussions surrounding the ACA; and when that happens, the U.S. will have no alternative but to recognize all international adoptees as U.S. citizens." "This effort is a small token to ensure that future generations of youth continue to be inspired by Muhammad Ali and the example he set for the way humanity engages with each other." "We wish to respond to evil w/ good & send a powerful message of compassion through action.#Muslims4Pulse"
Teaching at Chelsea District Library tomorrow! Explore writing from many angles in this special multi-week writing workshop! Writer and WCC instructor Frances Kai-Wha Wang will facilitate the first two sessions, and YA Author Kelly Barson will present the last two sessions. Students registering for this program should come to the Youth Desk to pick up a free copy of Kelly Barson's book. "Each island is represented in the color and the flora and fauna of that island. The princesses are adorned in beautiful lei, as are the horses. They are known for their skilled horsemanship. This year, we reunited the pa'u queens of yesteryear going back to 1968." "We will continue to stand shoulder to shoulder to speak out, demand policy change, expect law enforcement to protect our communities, and lift up each other's humanity. We cannot allow tragedy to divide our communities when solidarity is more important than ever. And, for everyone who stands at the intersection of Muslim and LGBTQIA identities, we offer you extra love and support. We see you and we stand with you." "The importance of Asian American studies is rooted in the desire to create a more democratic academy, one that takes seriously the world-view of race and ethnicity in the U.S.," Trinity College history professor Vijay Prashad told NBC News. "How to understand the complex hierarchy of racial power in America without close study?" "Ethnic studies and community engagement played a huge role in getting me back into the classroom and on to college. I always felt like I just didn't belong in schools, and seeing my identity and culture reflected in my education made me want to make changes in my community. I owe my current success to those that helped me see myself, a young woman of color, and my culture, as scholarly." Tony Award-nominated actress Phillipa Soo has just been cast in upcoming Disney film, "Moana," according to Entertainment Weekly. Soo is best known for her current portrayal of Eliza Schuyler Hamilton, wife of Alexander Hamilton, opposite Lin-Manuel Miranda in the Broadway hit, "Hamilton." Writing to Change the World! today! Saturday at WCC at 9:30am-3:30pm. A few extra spaces so come. What do you care about? What do you really care about? Learn simple, but powerful, methods to get the ideas out of your head and onto the page in order to persuade and convince and move people to your point of view. Part journaling, part activism, this class aspires to clarify the change that we want to see and to begin to create that change in the world with the written word. UPDATED Writing Resources page with links to change the world. "This law [RS 18:105(B) and (C)] dates back to 1874, It is outdated and appears to be the only one of its kind in the United States... This is a huge victory for our API [Asian and Pacific Islander] and Latino communities here in Louisiana,"
"What happened to these two men is unconscionable. We intend to work closely with local authorities on their training procedures and response protocols to ensure that history isn't repeated,"
Writing to Change the World this Saturday at WCC 9:30-3:30, register today!